The NATO Days in Ostrava and the Czech Air Force Days are the biggest defence and security shows in Central Europe. The event’s aim is to present a wide spectrum of resources and capabilities of the Czech and Allied armed forces. The main program takes place at Ostrava Leoš Janáček Airport and consists of presentation of modern and historical military vehicles and equipment, police and rescue equipment, dynamic displays of special forces, flying displays and presentations of armament, equipment and gear of individual units. The event brings the recent technology used by soldiers, fire fighters, policemen, customs officers, the prison service, the municipal police and other armed forces in one location and presents them to the general public. At the same time the event provides opportunities of meetings, presentations or workshops, attended by representatives of both the private commercial and public sphere, local governments, top management of participants and partners of the event, important guests from political, commercial, academic, cultural, social or sports areas. Regular distinguished guests include representatives of the Czech Government, NATO and the European Union, representatives of regions, cities and municipalities, ambassadors, defence attachés, members of civilian and military delegations and other guest from the Czech Republic and foreign countries – especially from Europe and the United States of America. The German Navy returns with the P-3C Orion reconnaissance aircraft and the Sea Lynx and Sea King helicopters. The Royal Air Force sends the British Typhoon Demo Team. 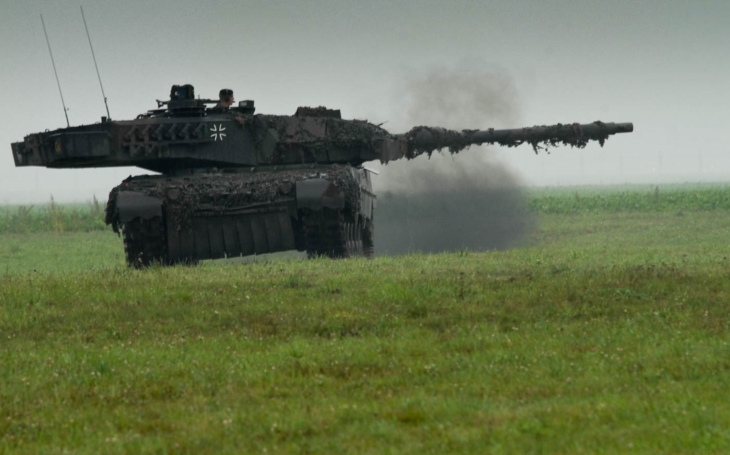 The German Army will present one of its Leopard 2 tanks on a static display, the second one will show its driving characteristics and will also participate in the demonstration of the Czech Army's combat activities. The U.S.A. will be the partner nation of the NATO Days in Ostrava & Czech Air Force Days 2018, as announced by the US Ambassador to the Czech Republic, Stephen B. King in Stara Boleslav during a meeting with US soldiers transfering across the territory of the Czech Republic in the framework of the Saber Strike 2018 exercise. The main organizers are the Jagello 2000 Association, the General Staff of the Armed Forces of the Czech Republic, the Fire Rescue Brigade of the Moravian-Silesian Region, the Regional Police Directorat of the Moravian-Silesian Region, the Emergency Rescue Service of the Moravian-Silesian Region, and the Ostrava Leoš Janáček Airport. For more information and news visit the NATO Days in Ostrava & Czech Air Force Days website at www.natodays.cz and the Facebook event.